Starting with an unlikely meeting at a fraternity probate party, Mia and LaDarrell met through a friend he had already tried to talk to. This episode explores that meeting, the loss of a 61 million dollar lottery ticket, where they are now, and a few critical points in between. This introductory episode from the Hopkins' is like the beginning of a roller coaster; slow, rigid, and exhilarating. 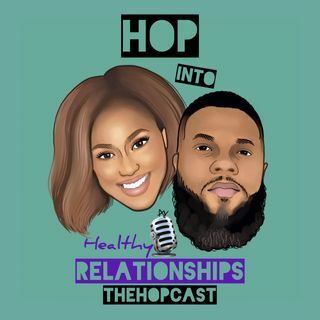 We are glad you decided to Hop into Healthy Relationships!! !